A new member has joined Brodynt in our Support team and under Tania Pinosa’s supervision. 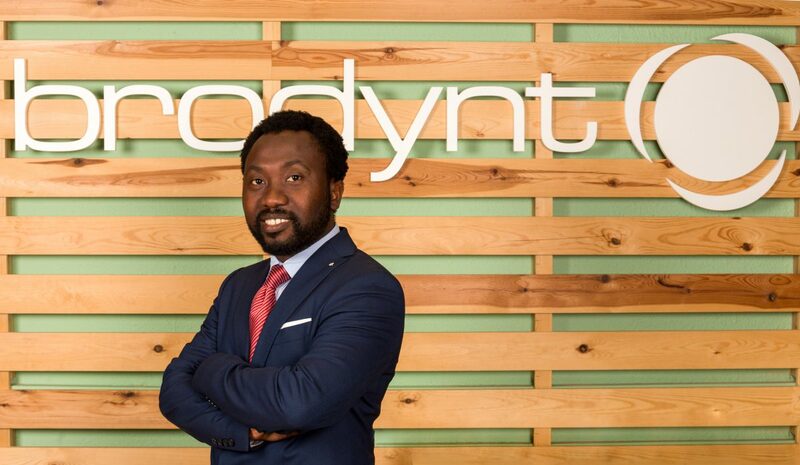 His name is Evans Damte and he will be Brodynt’s new Global Support Manager. Evans has several years of experience working as a Transmission, Layer and Network Security and migration engineer in many multinational companies, including COLT Telecom, APPLUS RTD, and GSMA (Mobile World Barcelona). He also has over 5 years’ experience working as a systems engineer for SCYTL Electronics, Mell System Engineering and Draeger GMBH. His key points of expertise are: Network Architecture and Management, Network Optimization, Troubleshooting and problem solving skills, project and task management, teamwork, leadership, training, and mentoring. Evans, how do you think that the telco industry is changing /evolving in the world we know nowadays? “Our industry has come a long way; from the radio communication age through digital and mobile to the cloud network area. Businesses can now gather data more efficiently, execute both simple tasks and complex multitasks remotely, as well as delegate tasks to “things” rather than to people. What do you believe companies should do to better adapt to the necessities of end users? “Irrespective of the complexity or simplicity of their problem, end users basically need a simple, efficient, and intelligent solution that should not just meet, but also exceed their expectations. Then there is the human touch which is very often ignored by most companies, but that is key for keeping our clients. We need to understand that end users are the sole reason for the existence of our businesses.